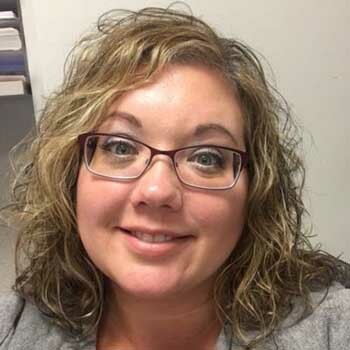 Laura (Laurie) Lee Rebecca (Wilhelmi) Hanf, 43, of rural Stewartville, died unexpectedly of natural causes at home on Saturday, Aug. 4, 2018. Laurie was born in Austin on May 10, 1975, to Steven Wilhelmi and Sandra (Eastman) Schoenwetter. She married Jesse Hanf on Sept. 9, 1995, in Rochester. She was the doting mother of Katelyn (fiancé Cody Neverman) Hanf, 24, and Conner Hanf, 21. Together they built their home in Stewartville and raised their family. She attended Byron High School and Rochester Community and Technical College. Laurie was employed at Mayo Clinic as a pathology reporting specialist and was also an independent Mary Kay Beauty Consultant in her spare time. Laurie had a big personality and a big heart, especially for her family. Her children were her entire world - her interests were her children's interests, and their passion was her passion. Her husband was her high school sweetheart and they would have celebrated their 23rd year of marriage this fall. Laurie enjoyed taking road trips, boating on the Mississippi River and Leech Lake, shopping for flowers with her mother, gardening in her yard, making honey-do lists, and, of course, beating her family at board games. She was the best daughter, mother, and one day, grandmother that anyone could have ever asked for. She was adored by many and will be greatly missed for many years to come. Laurie is survived by her parents, Sandra (Tim) Schoenwetter of Stewartville, and Steven (Bette) Wilhelmi of Duluth; brothers, Michael (Susan Roeder) Wilhelmi of Stillwater, Adam (Kyla) Schoenwetter of Middleton, Wis. and Jesse Schoenwetter of Rochester; parents-in-law, Jan Hanf of Rochester, and Jerry (Diane) Hanf of Spring Valley; siblings-in-law, Stacy Hanf of Wabasha, Jason (Stephanie) Hanf of Wabasha and Jeff (Heidi) Hanf of Rochester; nieces and nephews, Eleanor, Alana, Peter, Austin, Wyatt, Arianna, Allivia, and Cora, and special cousin Arianne (Ryan) Steenblock of Panora, Iowa and their children, Arilyan and Brody. The family will receive friends at visitation on Wednesday, Aug. 8, 2018 from 4-8 p.m. at Ranfranz and Vine Funeral Home, 5421 Royal Place NW in Rochester, and one hour prior to the service at the church.